Draft: 2012, Texas Rangers, 1st rd. Lewis Lamont Brinson...graduated from Coral Springs (FL) High School...committed to the University of Florida before signing with Texas in 2012. Season was limited to 109 games due to stint on disabled list from July 4-August 31, missing 38 games due to right hip inflammation... Ranked second among National League rookies with five triples, and tied for sixth with 11 home runs...Had first career multi-hit game on March 30 vs. Cubs, going 4x8...Had first career multi-homer game on April 19 at Milwaukee (two); became 15th rookie (19th time) in Club history to have a multi-homer game...Hit first career grand slam on May 20 at Atlanta, setting career high with four RBI...Had second career multi-homer game on June 6 at St. Louis; became just fifth rookie in Club history to have two-plus multihomer games, joining Hanley Ramirez (2006), Cody Ross (2006), Giancarlo Stanton (2010), and Josh Willingham (2006)...Also, became first rookie in Club history to have first two multihomer games within his first 59 career games...Was batting .253 with three doubles, four triples, a home run, and eight RBI in 21 games prior to being placed on DL...Combined to hit .180 (9x50) with a double, a triple, a home run, and four RBI combined in 14 rehab games between Double-A Jacksonville (eight games) and Triple-A New Orleans (six games)... Batted .239 (22x92) with four doubles, a triple, a home run, and 12 RBI in 25 games after returning...Recorded game-winning RBI in back-to-back games vs. Cincinnati on September 22 & 23.... Finished season with eight GW RBI. Tied Starlin Castro for team lead, ranked tied for second among National League rookies, and was most by a Marlins rookie since Justin Bour had 10 in 2015 (Club record is 11, by Mike Jacobs in 2006). Named Brewers' Minor League Player of the Year after batting .331 (99x299) with 22 doubles, four triples, 13 home runs, 48 RBI and 11 stolen bases in 76 games at Triple-A Colorado Springs...Also made Major League debut with Milwaukee, and in 21 total games over two stints, hit .106 (5x47) with one triple, two home runs and three RBI. Made 12 starts; seven in center field and five in left field...Named to Baseball America's Triple-A All-Star team after posting season average that would have tied for third best in PCL had he qualified. On-base percentage (.400) would have ranked fifth, while slugging percentage (.562) would have ranked eighth... Opened season with 10-game hitting streak, batting .395 (17x43) with four doubles, three home runs and seven RBI. .. During streak, established season highs with four hits and five RBI on April 18 vs. Memphis. Doubled and homered in Colorado Springs' 14-4 win... Recorded at least one hit in 22 of first 24 games and posted .360 average (21x58) in 14 April contests. Highest monthly average was a .414 mark (29x70) in July (17 games)... Homered twice at Oklahoma City on June 1. Was first of two multi-homer games of season. Also had two HR on August 13 vs. New Orleans... Promoted to Milwaukee on June 10 and made Major League debut on June 11 at Arizona. Went 0x2 with two walks and first career stolen base, starting in left field... Recorded first MLB hit in second game of doubleheader on June 13 at St. Louis, an infield single to third off Marco Gonzalez... First MLB triple accounted for only hit on June 16 vs. San Diego...Optioned to Colorado Springs on June 25 after hitting .097 (3x33) over 14 games...In first game back with Sky Sox, June 26 vs. Omaha, went 4x4 with two doubles and one home run, matching season high in hits. Equaled total again on July 17 at Omaha... Participated in the All-Star Futures Game at Marlins Park in Miami, going 1x4 with a double and one RBI as US down World, 7-6... From June 29-Aug. 5, hit in 20 consecutive games, marking longest hitting streak of career and sixth-longest hitting streak in PCL last season. Hit .375 (33x88) with seven doubles, three triples, two home runs and 12 RBI over streak... Promoted to Milwaukee for second time on July 26 and connected for first Major League home run that night, a two-run shot off Sean Doolittle in ninth inning... Homered next day in Washington off Enny Romero... Sent back to Colorado Springs on Aug. 3 after recording two hits in 16 at-bats over seven appearances... Had season cut short due to strained left hamstring suffered while running to first base on Aug. 14 vs. New Orleans. Entered 2016 as the second-best prospect in the Rangers organization by Baseball America...Began the season at Double-A Frisco, where he batted .237 with 11 HR, 40 RBI and 11 stolen bases in 77 games.....also appeared in 4 games with the Rookie Arizona Rangers from 7/1-7/4 during a rehab assignment (was on the disabled list from 6/10-7/5 with a left shoulder strain)...Was traded to Milwaukee as part of a five-player deal on 8/1...Finished the season at Triple-A Colorado Springs, where he batted .382 with 4 HR, 20 RBI and 4 stolen bases in 23 games...Was added to the 40-man roster on 11/18...Enters 2017 as the top prospect in the Brewers organization according to Baseball America. Combined to hit .332 (132-398) with 20 HR, 31 2B, eight triples, 69 RBI, and 74 R over 100 games for High Desert (High Class A), Frisco (Class AA), and Round Rock (Class AAA)…had second-highest slugging pct. (.601) and third-best OPS (1.004) among all full season minor leaguers (395+ PA's)…also had 10th-best average and was 18th in OBP (.403)…only other minors qualifier (full season leagues) with on-base over .400 and slugging over .600 for the year was Astros prospect A.J. Reed…saw consecutive hitless games just twice all season, and only time to not reach safely in back-to-back games came Sept 14-15 with Frisco…had a .458/.547/.847/1.394 (33-72) slash line in 86 PA's against left-handed pitching…missed over a month on the disabled list from April 27-June 4 with right hamstring tenidinitis…selected club's Defender of the Year after an overall .972 (seven errors/254 TC) fielding pct. with 6 assists, a .990 (two errors/195 TC) mark in 74 games/starts in CF. September 1, 2018 Miami Marlins activated CF Lewis Brinson from the 10-day injured list. August 25, 2018 Miami Marlins sent CF Lewis Brinson on a rehab assignment to New Orleans Baby Cakes. August 14, 2018 Miami Marlins sent CF Lewis Brinson on a rehab assignment to Jacksonville Jumbo Shrimp. July 4, 2018 Miami Marlins placed CF Lewis Brinson on the 10-day disabled list. Right hip inflammation. October 2, 2017 Milwaukee Brewers recalled CF Lewis Brinson from Colorado Springs Sky Sox. August 16, 2017 Colorado Springs Sky Sox placed CF Lewis Brinson on the 7-day disabled list. August 4, 2017 Milwaukee Brewers optioned CF Lewis Brinson to Colorado Springs Sky Sox. July 26, 2017 Milwaukee Brewers recalled Lewis Brinson from Colorado Springs Sky Sox. July 13, 2017 Colorado Springs Sky Sox activated CF Lewis Brinson from the temporarily inactive list. July 8, 2017 Colorado Springs Sky Sox placed CF Lewis Brinson on the temporarily inactive list. June 26, 2017 Milwaukee Brewers optioned CF Lewis Brinson to Colorado Springs Sky Sox. June 10, 2017 Milwaukee Brewers recalled Lewis Brinson from Colorado Springs Sky Sox. March 17, 2017 Milwaukee Brewers optioned CF Lewis Brinson to Colorado Springs Sky Sox. November 18, 2016 Milwaukee Brewers selected the contract of Lewis Brinson from Colorado Springs Sky Sox. August 23, 2016 Colorado Springs Sky Sox activated CF Lewis Brinson from the 7-day disabled list. August 15, 2016 Colorado Springs Sky Sox placed CF Lewis Brinson on the 7-day disabled list. August 2, 2016 CF Lewis Brinson assigned to Colorado Springs Sky Sox. July 6, 2016 Frisco RoughRiders activated CF Lewis Brinson from the 7-day disabled list. July 1, 2016 sent CF Lewis Brinson on a rehab assignment to AZL Rangers. July 1, 2016 Frisco RoughRiders sent CF Lewis Brinson on a rehab assignment to AZL Rangers. June 10, 2016 Frisco RoughRiders placed CF Lewis Brinson on the 7-day disabled list. March 29, 2016 CF Lewis Brinson assigned to Frisco RoughRiders from Round Rock Express. January 18, 2016 Texas Rangers invited non-roster CF Lewis Brinson to spring training. 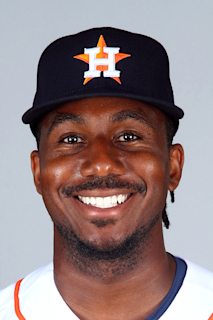 November 3, 2015 OF Lewis Brinson assigned to Indios de Mayaguez. September 1, 2015 OF Lewis Brinson assigned to Surprise Saguaros. August 31, 2015 CF Lewis Brinson assigned to Round Rock Express from Frisco RoughRiders. July 30, 2015 CF Lewis Brinson assigned to Frisco RoughRiders from High Desert Mavericks. June 5, 2015 High Desert Mavericks activated CF Lewis Brinson from the 7-day disabled list. May 1, 2015 High Desert Mavericks placed CF Lewis Brinson on the 7-day disabled list. March 6, 2015 CF Lewis Brinson assigned to Texas Rangers. July 4, 2014 Lewis Brinson assigned to Myrtle Beach Pelicans from Hickory Crawdads. May 29, 2014 Hickory Crawdads activated OF Lewis Brinson from the 7-day disabled list. May 3, 2014 Hickory Crawdads placed OF Lewis Brinson on the 7-day disabled list. March 3, 2014 CF Lewis Brinson assigned to Texas Rangers. August 6, 2013 Hickory Crawdads activated OF Lewis Brinson from the 7-day disabled list. July 30, 2013 Hickory Crawdads placed CF Lewis Brinson on the 7-day disabled list. April 3, 2013 CF Lewis Brinson assigned to Hickory Crawdads from AZL Rangers. March 16, 2013 OF Lewis Brinson assigned to Texas Rangers. June 20, 2012 Lewis Brinson assigned to AZL Rangers from Texas Rangers. June 12, 2012 Texas Rangers signed OF Lewis Brinson.